It’s Sunday and I’m relieved to report that we made it through Nemo unscathed. Power flickered, went out briefly, and came back solid before we went to sleep Friday night. I am most grateful my husband was able to come home after a long shift, take a hot shower, and put warm food in his belly. That is, after running the snow blower to clear off the driveway because someone (points to self) doesn’t know how to operate it yet. Road Dog went to work Saturday bright and early so I had to keep myself busy while the wind and snow still blew outside. With the driving ban in effect anyhow I decided I would bake something for him to come home to, something I don’t do very often not having much of a sweet tooth. 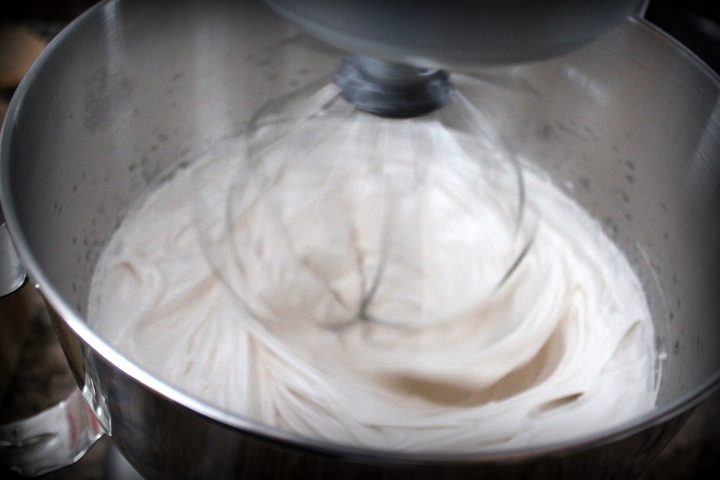 There are just a few sweets that really rock my socks – one in particular is marshmallow. I’m known for being a little obsessed – as a kid you wouldn’t catch a PB&J anywhere near my lunch box, nope I loved me a PB & Fluff and somehow I still have no cavities?! Thank goodness for the fluoride program in our schools, ha! 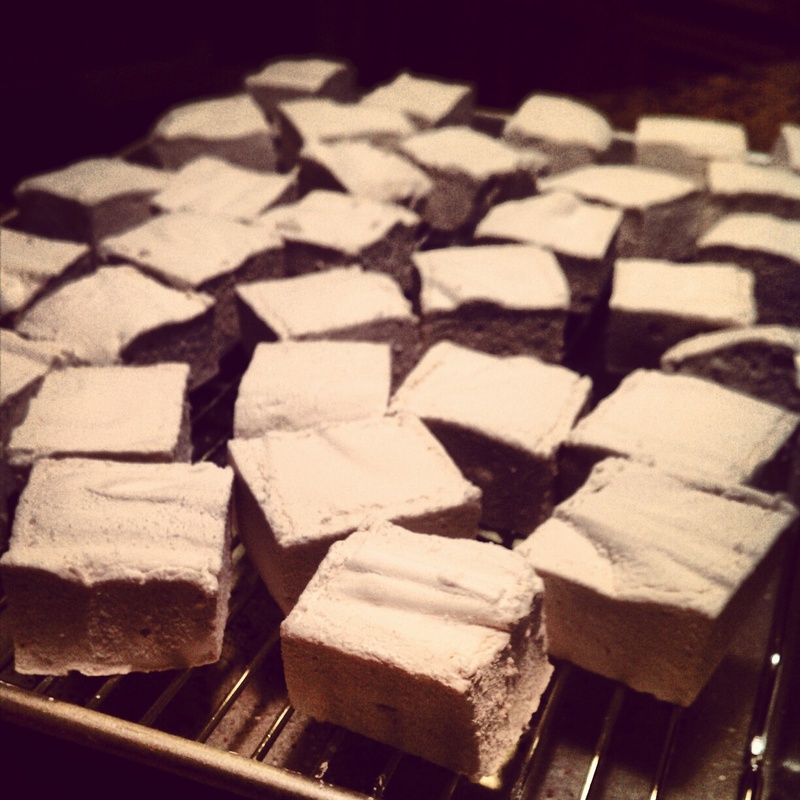 These last few years it has become tradition for me to make flavored marshmallows at Christmas time and give them out as gifts. 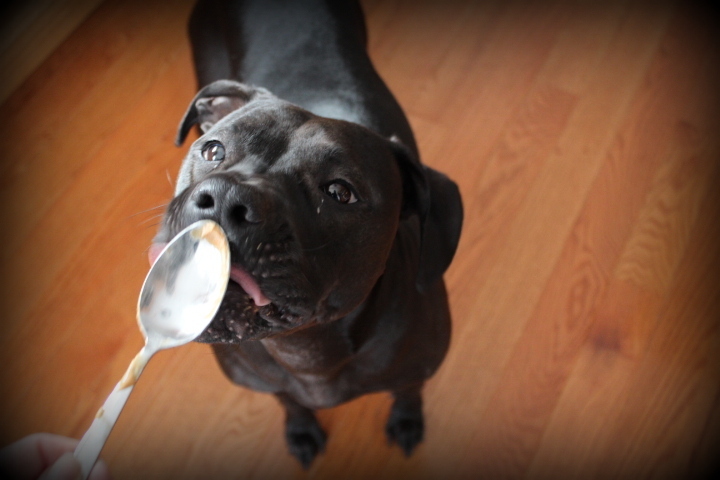 1 cup of all natural peanut butter – lately I’ve been making it fresh but I was snowed in without peanuts. 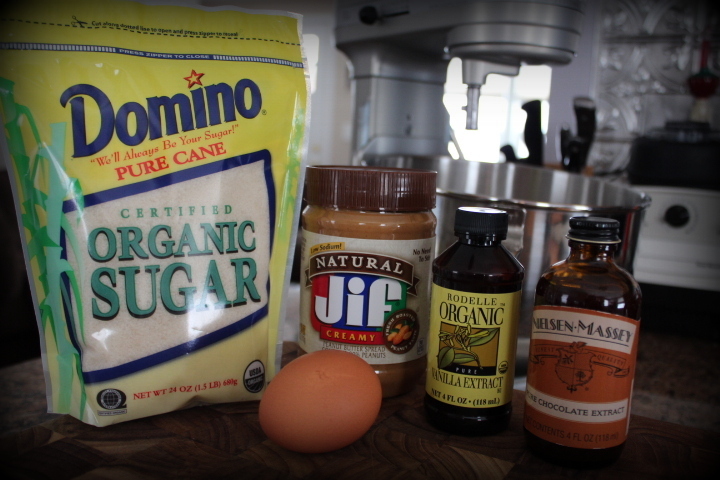 disregard the chocolate extract – I staged it for experimenting with the marshmallow flavor. Pre-heat your oven to 350 with a rack positioned in the center. 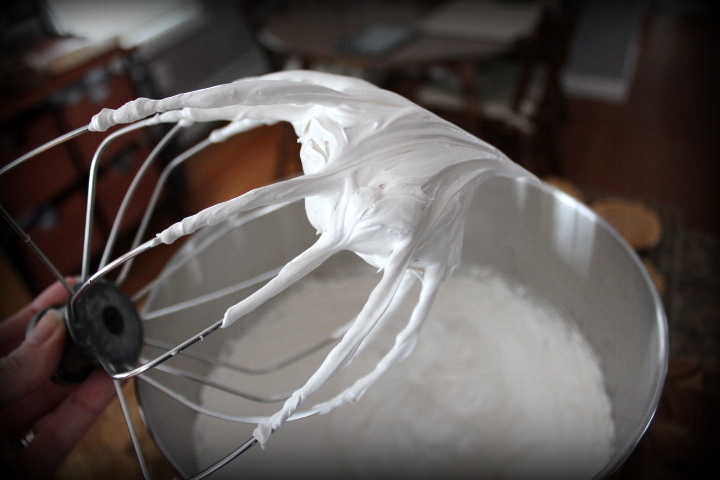 Throw everything into a stand mixer with a whisk attachment and beat on low until it all comes together. 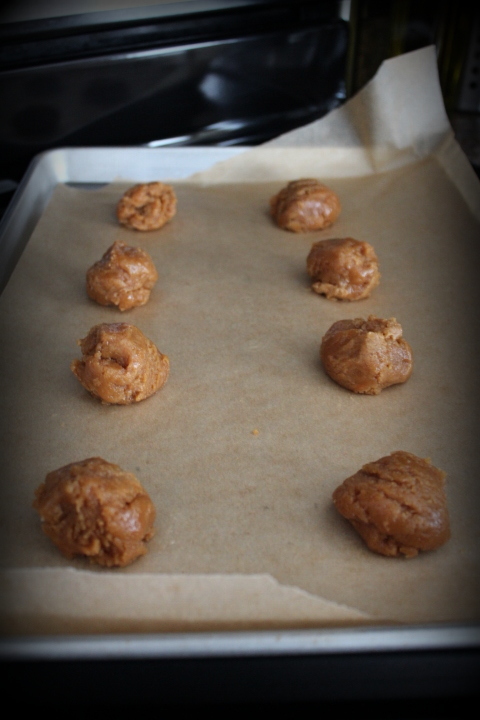 Scoop equal size balls onto a parchment lined cookie sheet. I made ours on the larger size, no messing around in this house. Next you’ll need to take a fork and gently flatten these out making a criss-cross pattern but really anything goes. Bake for approximately 11-12 minutes. 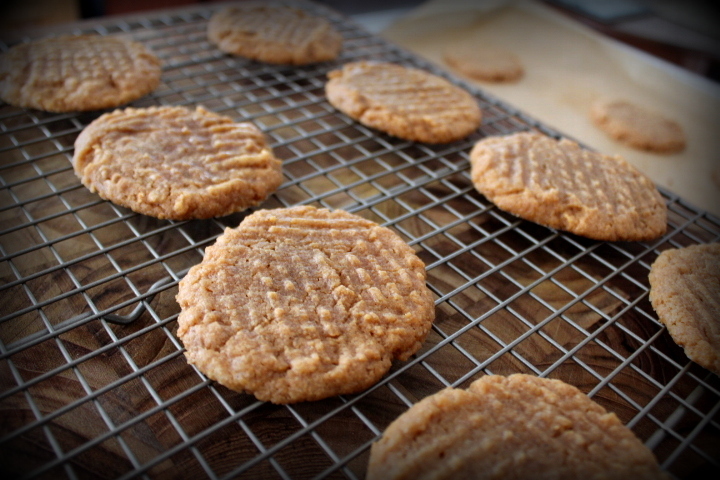 We prefer a chewy cookie, anything that crumbles or feels dry in my mouth immediately turns me off – yuck. 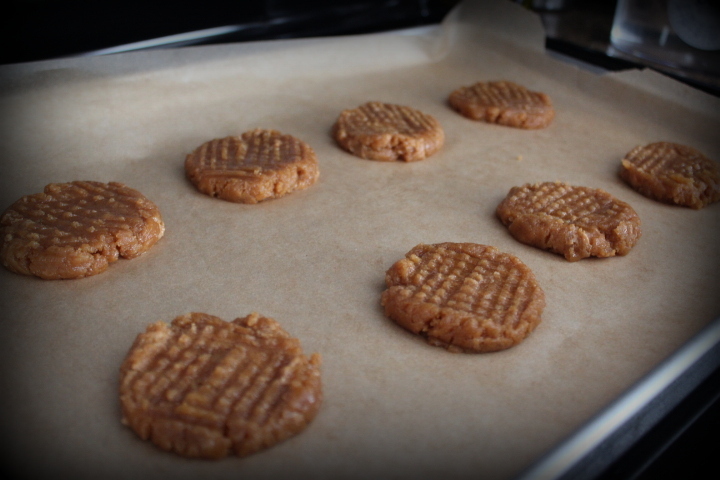 Let them sit on the cookie sheet for a few minutes before moving them to a cooling rack. I tried a little too early on one and it cracked so I smooshed it back together and left it alone. Now to make the my favorite part! This part might seem intimidating but honestly it couldn’t be more simple, so long as you have a stand mixer and a digital thermometer. Set a pot on the stove with about an inch and a half of water, get it simmering. 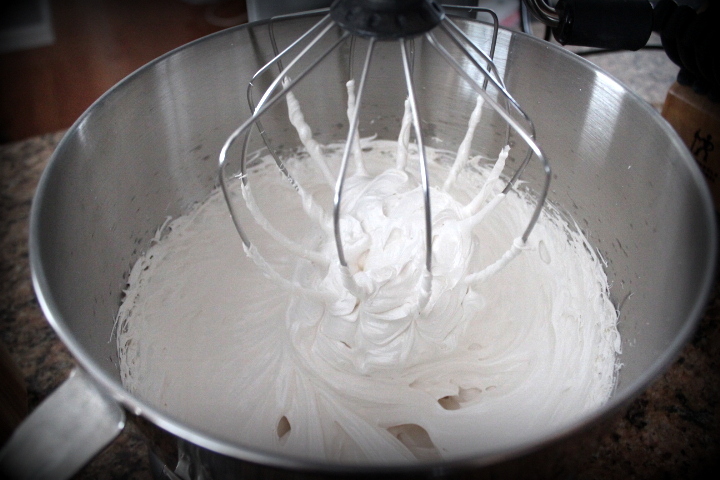 Place your egg whites in a metal bowl that will nest on top of the pot but not touch the water. 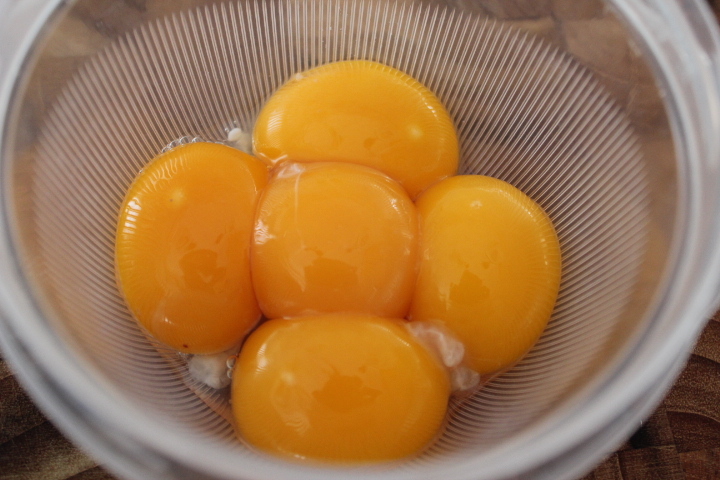 Filter out what I call the yolk seatbelt, real term “chalazae” and place on top of your simmering pot of water. 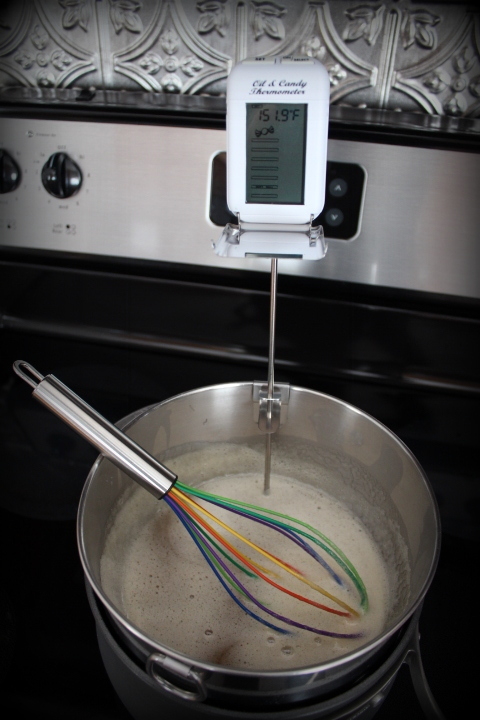 Attach your digital thermometer and whisk away until it reads 160 degrees. 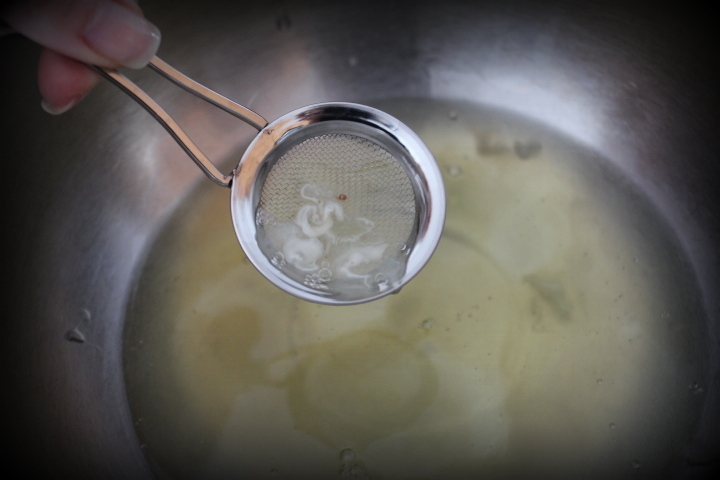 Chalazae – this keeps the yolk suspended in the center of the egg like a seatbelt. Though not necessary to remove for this recipe, I like to. 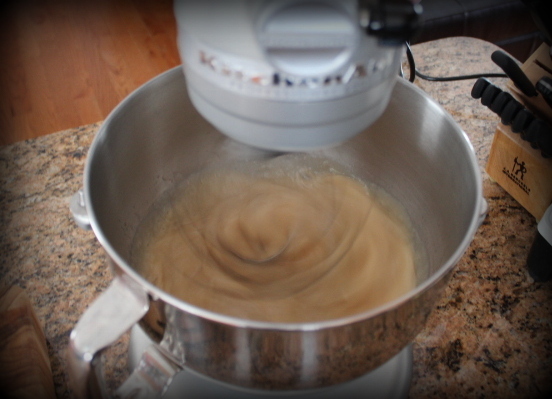 It’s a good habit, especially if you want to get into making custards! Save these and remember to remove the seatbelts – these can be used for zabaglione, custard, ice cream base, creme brulee , fresh mayo, aioli, – the list goes on! Snapped after reaching temperature and taking off the heat. 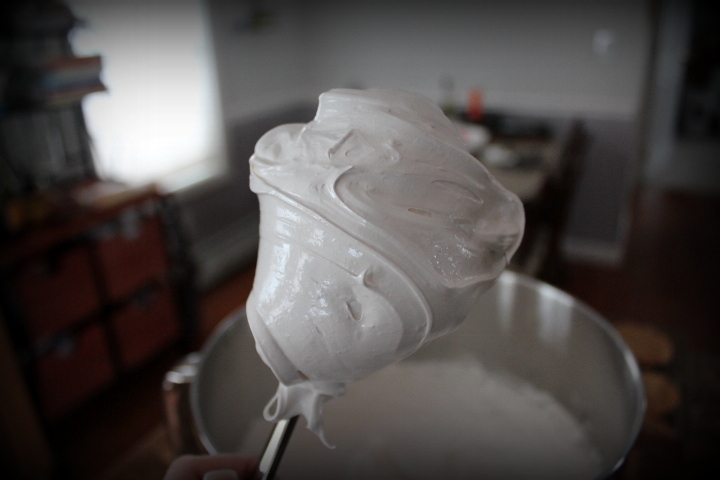 Glossy peaks, it’s ready to go. 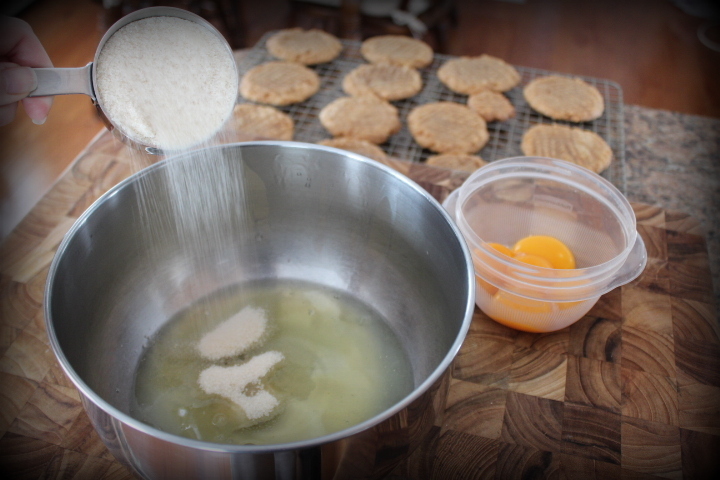 Set your cookies up in pairs and scoop the fluffy deliciousness on, you can go as thin or as thick with it as you like. I have very little self-control, go big or go home. These were truly a labor of love and appreciation, a thank you for all of the long hard hours he puts in to keep us all safe. They were well received, he had two with a sticky smile on his face from start to finish. 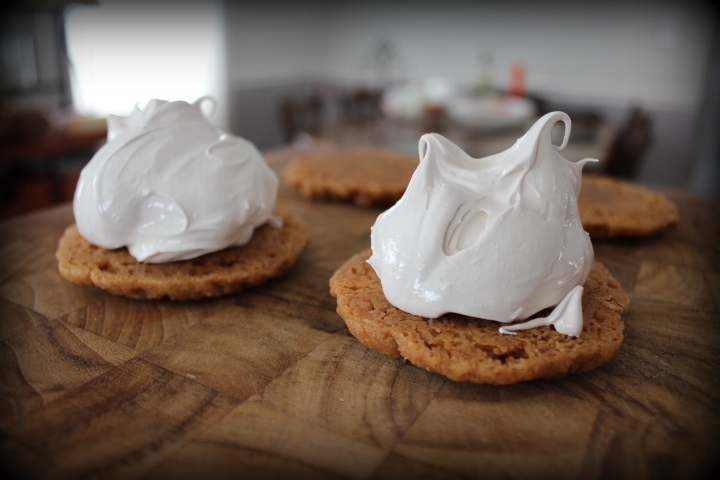 Pour yourself a glass of milk and enjoy, these are so much fun to make and to eat. Who cares if you get a little messy?! 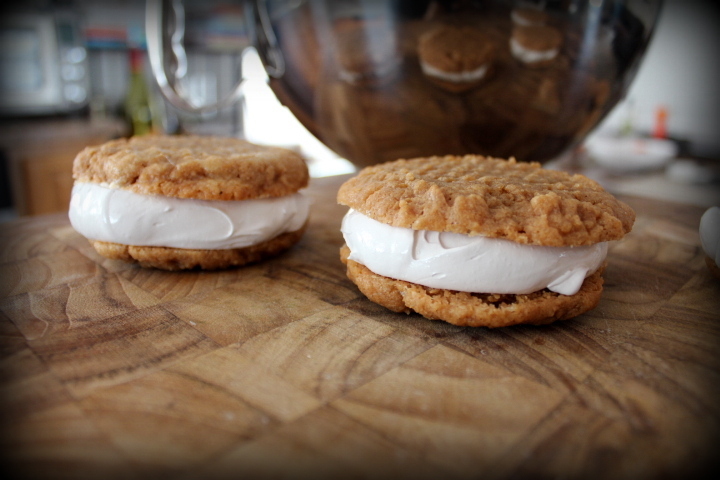 This entry was posted in Baked Goodness and tagged Cookie, Cookie Sandwich, Fluff, marshmallow, Peanut Butter, recipe on February 10, 2013 by NewEnglandGirl.